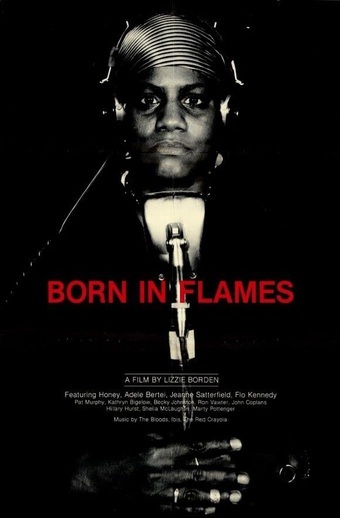 In 1977 through 1980 (we filmed over a period of 4 years), I played a character named Isabelle in a film called Born in Flames, a feminist sci-fi story with the premise that after a socialist democratic revolution, women and minorities continue to remain on the losing end of the spectrum. None of us knew then how the film might still feel oddly prescient today, or that it would become a classic, featured in feminist media studies around the world. I’ll be in conversation with director Lizzie Borden, actor Jeanne Satterfield and critic Amy Taubin on Feb 19th after the 7:30 screening at Anthology Film Archives, 32 Second Ave. at 2nd Street. What irks me even more than the idiocy of right-wing politicians today is how major media outlets allow, with such alacrity, the streaming of this utterly mendacious bully pulpit posturing. The rest of the world must be howling at the morally bankrupt republican buffoons and their cartoonish debates while we laugh with Bill Maher and John Oliver. Unfortunately, this is not a joke. I cannot understand the logic of how people in this country can be so easily conned into voting against their own interests time after time. 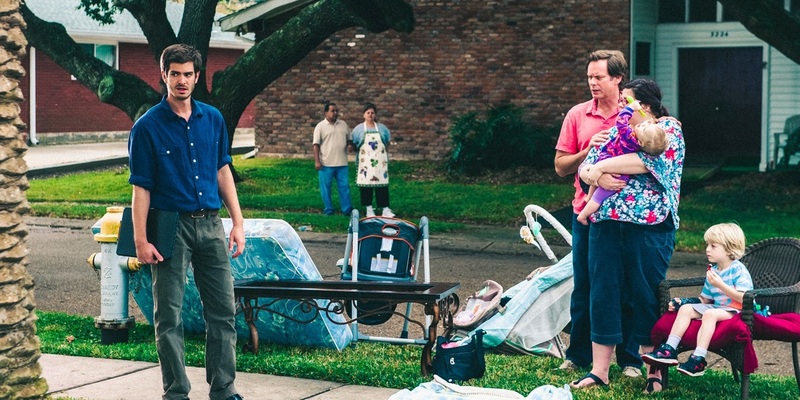 ​99 Homes is the flip side of The Short List, a brilliantly written, acted and directed film about the working class people that The Short List's crew screwed out of their homes. It's my favorite film of 2015, and one you probably missed because it didn’t have the marketing and promotion budget of the academy nominated bloat-fests. What is happening to this country and why are the gatekeepers so intent on soullessness? Yes Beasts of No Nation is hard to watch; a very brutal story of the evil human beings are capable of. That children as victims often become perpetrators is something we all need to ponder. We become what we are taught. ​The poisoning of children is okay when it’s committed by white politicians in America (read Michael Moore on Flint, Michigan)? What are we teaching our children to think, to do, in order to survive? Must we all be utterly corrupt to manage in this system? This is the question at the heart of 99 Homes. Above is the MENDACITY scene from Cat on a Hot Tin Roof. ​LOVE IT. Remember, lavender is for links. click away. #oscarssowhite! 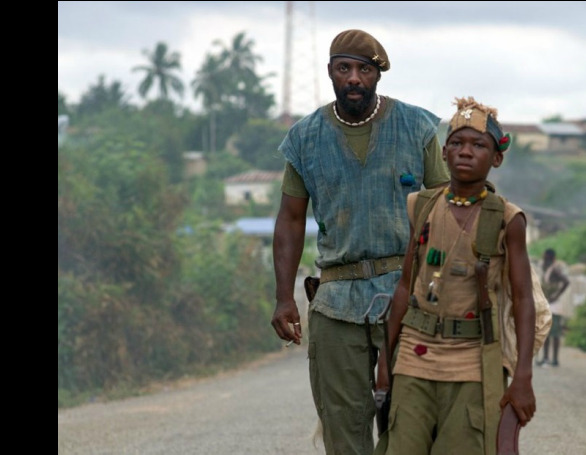 Does anyone at the academy truly believe Christian Bale’s performance in The Short List surpassed that of Idris Elba or Abraham Attu (who plays the lead boy) in Beasts of No Nation? Or that Cary Fukunaga didn’t deserve a nom for best director? And what about Straight Outta Compton? Sure, it wasn't exactly factual but it was certainly as good or better than The Short List. Seems the 2016 Oscars are about blockbusters and white men, but I guess that's the film business as usual. What we refer to as ‘minorities’ (any race other than non-Hispanic, single-race whites) currently constitute 1/3 of the U.S. population. But by 2042, they are projected to become the majority, making up more than half the population. 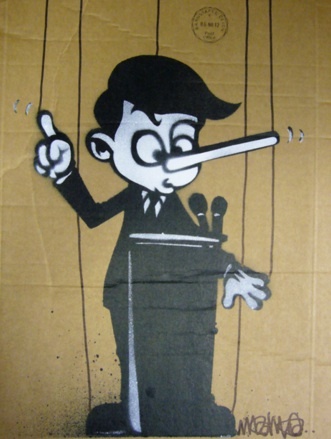 By 2023 more than half of all children in this country will be ‘minorities’. These are census bureau facts, and we all know that not everyone reports to the census bureau hence the real 'minority' numbers are even lower. To ignore these stats is as willfully stupid as is ignoring climate change. This message is for you, Bernie Sanders. If you want to take practical steps toward a true revolution, reach out and talk to people like Susan Burton (see my blog page), activists Michelle Alexander and Patrice Cullors, and address issues of white supremacy in this country. Be a righteous leader, help heal the racial divide so working class people of all colors can come together for the 99% revolution we all truly deserve, the revolution that will forever remain beyond our grasp until we banish the lies that divide us. Send this message to the people; do it with that big heart of yours, and you will be our next president, guaranteed. Fight for the passing of legislature that upholds women’s equal rights. Help us, the citizens, understand how to HELP YOU overturn campaign finance reform immediately, as soon as you get into office. Change your position on gun control, get tougher, do the right thing there. Go after big pharma; for one, don’t allow them to block the cure for AIDS that now exists. Lead us in a revolution of love against the senseless violence being done to our minds bodies and souls. OKAY back to a bit of lightness. Here’s a great blog I discovered. Click lavendar for the link. Give Tinkerbelle a Spank and let her fairy dust shake off into this inflammation-fighting smoothie. Tink looks annoyed – she doesn’t like to take her own medicine. so please imbibe and don’t be a naughty Tink. Two new tributes in the BLOG column: on David Bowie and new hero Susan Burton. ​Click on lavendar for links.